What nickname did Berry Gordy, Jr., give to Motown Records' studios? Do you have friends or family members who like to listen to the “oldies" stations on the radio? If you listen carefully, you might be surprised to hear songs that you already know. There's a reason many of these “oldies" are called classics. They're great songs that never grow old! In fact, many current artists recycle the “oldies" as samples or background music for their own current hit records. Many of these classic “oldies" from the 1960s were produced by a record company called Motown Records. Motown was started by Berry Gordy, Jr., on January 12, 1959. Gordy named his record company Motown, because it was located in Detroit, Michigan. At that time, Detroit was the home of the biggest automobile manufacturers in America. Motown was a nickname for “Motor Town," which is what many people called Detroit. Instead of automobiles, Gordy's Motown Records became a factory of a different sort: it made hit records at an amazing pace. In fact, Gordy placed a sign above the front windows of Motown's headquarters that read “Hitsville, U.S.A."
What was different about Motown was that it was a business owned by and focused on African-Americans. Started at the height of the civil rights movement in America, Motown's pop and soul music appealed to people of all races. The “Motown Sound" helped to integrate popular music in a way that many thought might never happen. 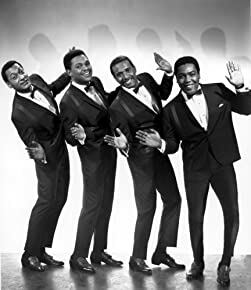 During the 1960s, Motown produced an amazing number of hit singles by a wide variety of popular acts, including Smokey Robinson and the Miracles, Martha and the Vandellas, The Temptations, The Four Tops, Diana Ross and the Supremes, Gladys Knight and the Pips, The Jackson 5, Stevie Wonder and Marvin Gaye. The “Motown Sound" was a simple formula that relied on good songwriting, great melodies, tambourines, hand claps, horns, rhythmic drum and bass lines and harmonies between the lead singer and his or her backup singers. Many Motown classics sound as fresh today as they did over 50 years ago. If tomorrow’s Wonder of the Day runs out of gas, at least it has batteries! Ready to listen to some classic Motown songs? Ask your friends and family members if they have any Motown favorites that they could recommend. You may be surprised at how this “old" music is just as catchy today as it was over 50 years ago! Michael Jackson would record there!!!!!!! Things change, we guess. We encourage you to check out some of those Motown artists, though. There are some fantastic musicians mentioned in the article. Happy WONDERing! I think the wonder of the day for tomorrow might be a car. How many people are in Motown? Is Motown a form of jazz? Have you gotten my Black Hole letter yet? TJ, Sometimes it is not a question of what but a question of where :) Have you discovered where Motown is? TJ, We are so happy you like today's WONDER :) Sounds like you may be wondering about something ELECTRIC :) Have you checked out WONDER of the Day® #584: Who Discovered Electricity? https://www.wonderopolis.org/wonder/who-discovered-electricity/. I think tommorows wonder is about hybrid cars. i think tomorrows wonder is about smart cars!